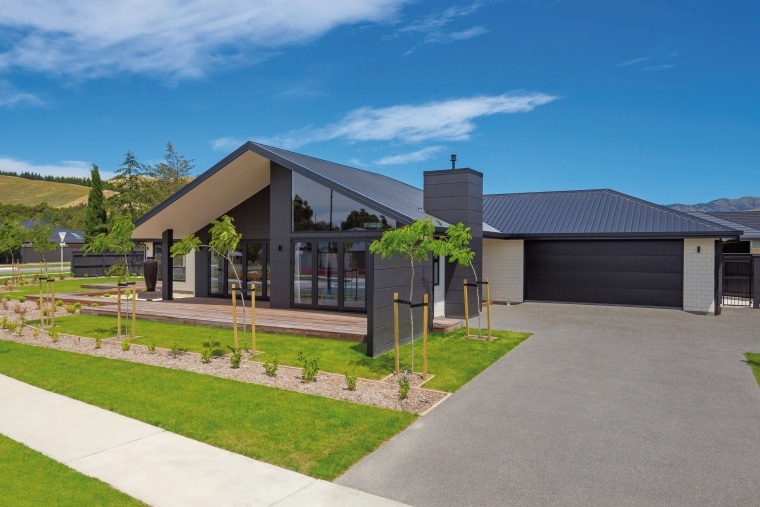 Sporting contemporary black and white cladding, this Edison Platinum home by GJ Gardner Marlborough reflects all the latest and best in 21st century home design. 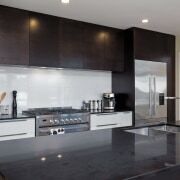 Over the past ten years, major advances in home design have transformed the way we live our lives. Today, a house can feature an array of advantages ranging from money-saving passive heating to flexible living spaces and sophisticated automation. 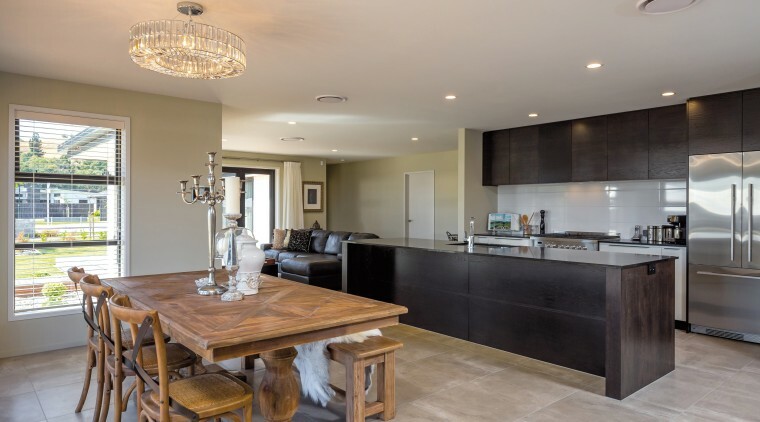 Respected New Zealand home builder GJ Gardner Homes can build a high-end home with all these modern advantages for a realistic price tag. The company is at the forefront of housing technologies and, whatever your budget, can build you a home to optimise your family's lifestyle. 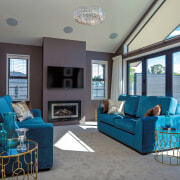 GJ Gardner Homes Marlborough sets the bar high for what a brand new house built in the 21st century should include as this Edison Platinum showhome reflects, says managing director Mike Wightwick. 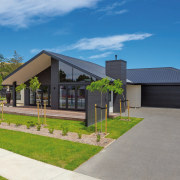 "The modified Edison Platinum home has a stand-out street presence, matching modern clay brick with wide-panel Stria cladding," says Wightwick. "And the thermally broken double glazed joinery means that, even with its large floor-to-ceiling windows and French doors, the home is snug all year round." 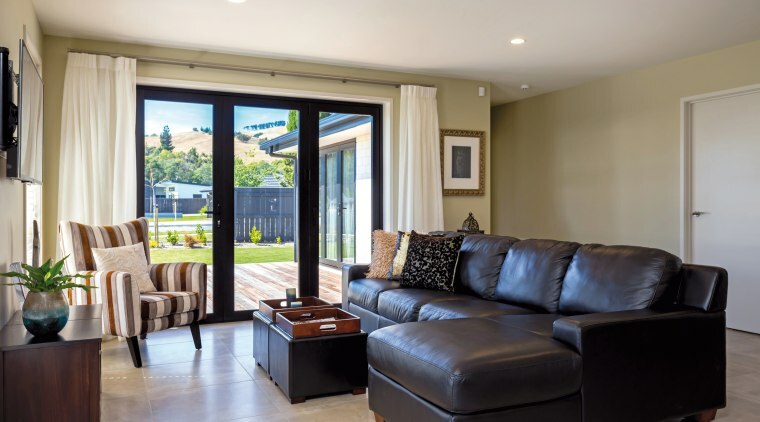 The New Zealand lifestyle is all about indoor-outdoor flow and GJ Gardner Homes Edison Platinum offers just that. Several French doors open to the wooden front deck. Ideally set up for cooler days, too, the family homes tiled floors feature creature-comfort underfloor heating. The French doors open to a kwila deck while the gabled longrun ebony roof and a sectioned Garadoor in Sierra Black add to the home's dramatic appeal. 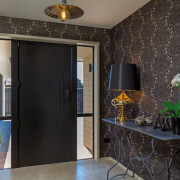 Inside, the elegant wallpapered entry hall leads on to a run of living spaces, with a feature New York glass cavity slider providing the option to divide areas to suit. 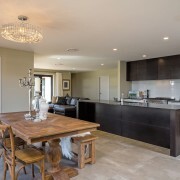 The executive kitchen connects directly to the living, dining, and family rooms, ideal for family and entertaining, and is a focal point within the interior. It is also only a few steps from the sunny deck. The three-bedroom home includes a study-plus-home theatre, while the master suite, complete with a generous walk-in wardrobe, is at the back of the home for a sense of separation from the living areas. As well as a tight thermal barrier, the house is designed and built to make use of key aspects of passive heating saving on energy and your power bills. Plus, there's a high-spec ducted heat pump system and a Rinnai 950 Evolve gas fire in the cosy, light-filled main living room. 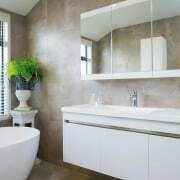 All tiled floors feature in-floor heating. 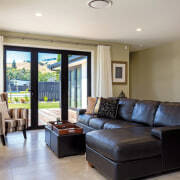 A sophisticated, easy to use Control4 system manages everything from the curtains, lights and heating to home security.